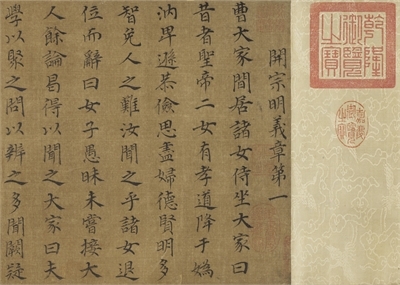 The Ladies' Book of Filial Piety was written by Madame Zheng, the wife of Houmo-Chen Miao, during the Tang dynasty (618-907). 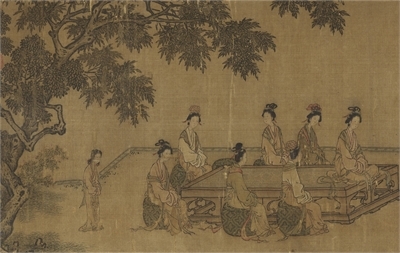 It deals with propriety and piety as well as rules of behavior on the part of women. 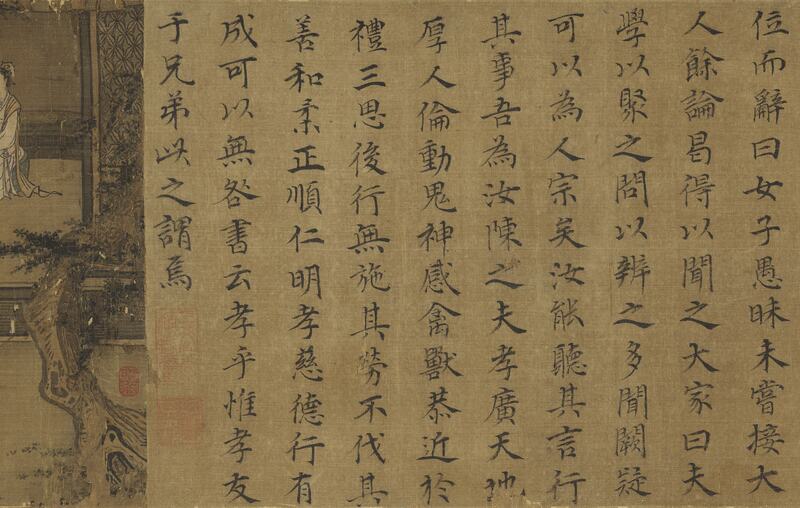 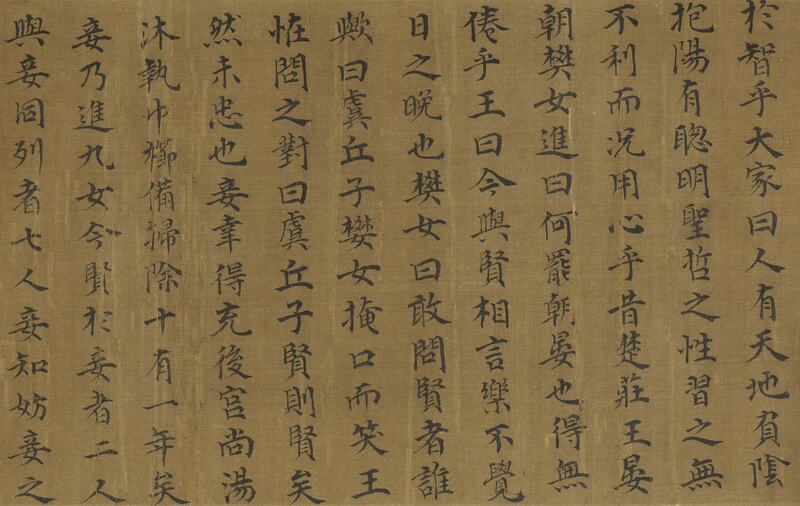 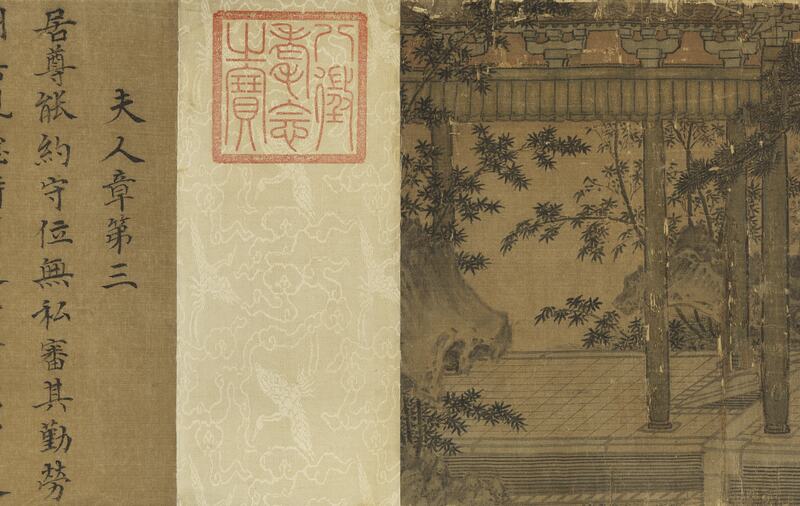 Originally composed of eighteen sections, this handscroll only has half of them remaining. 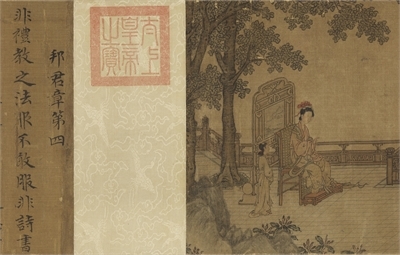 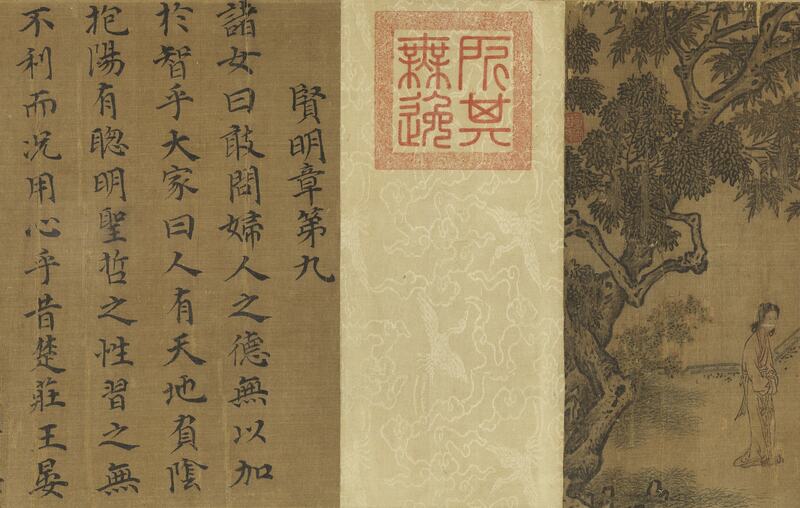 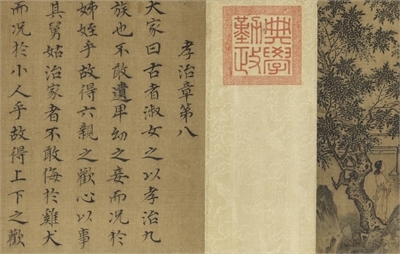 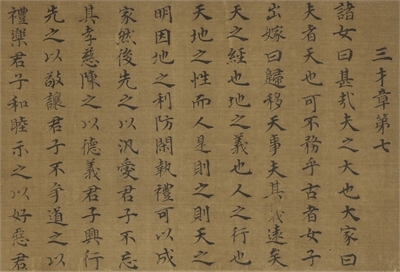 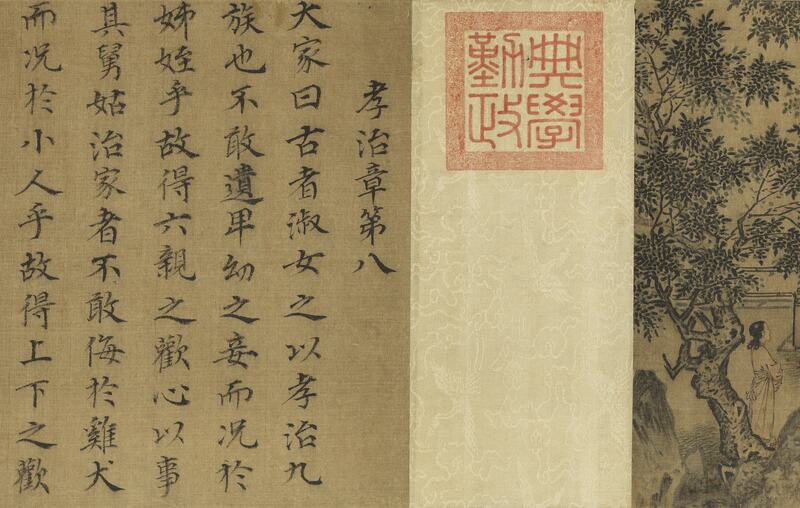 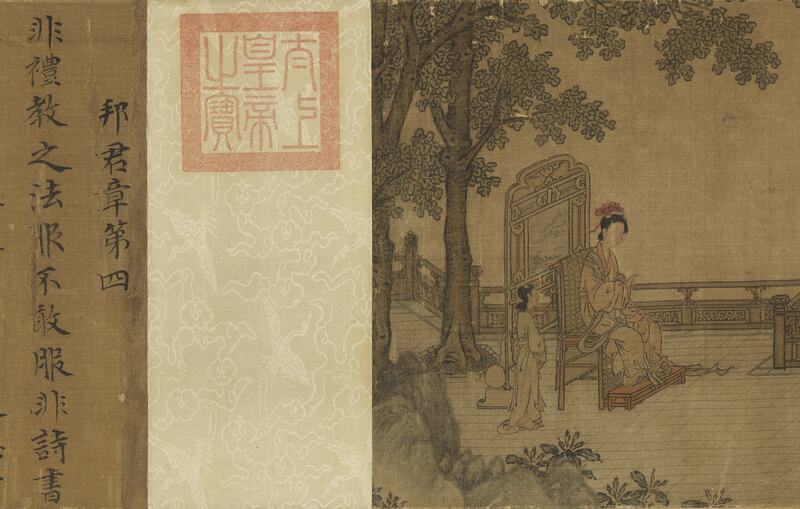 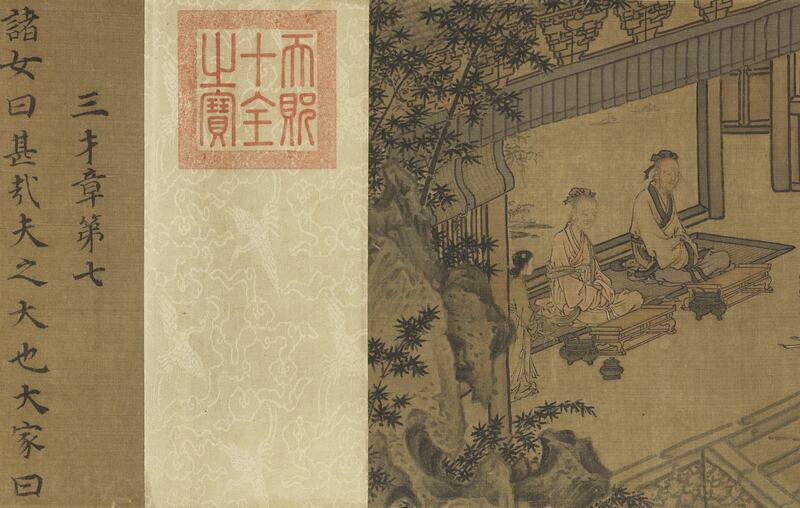 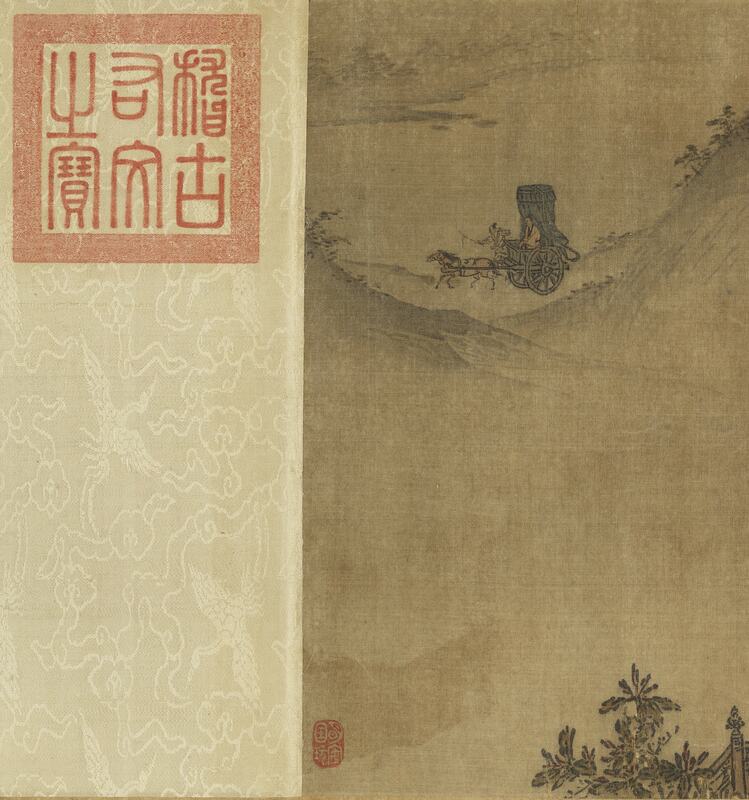 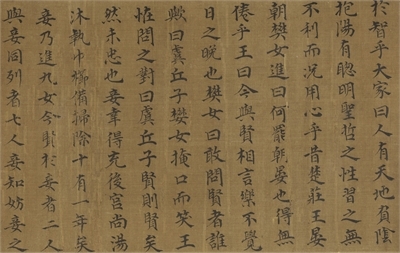 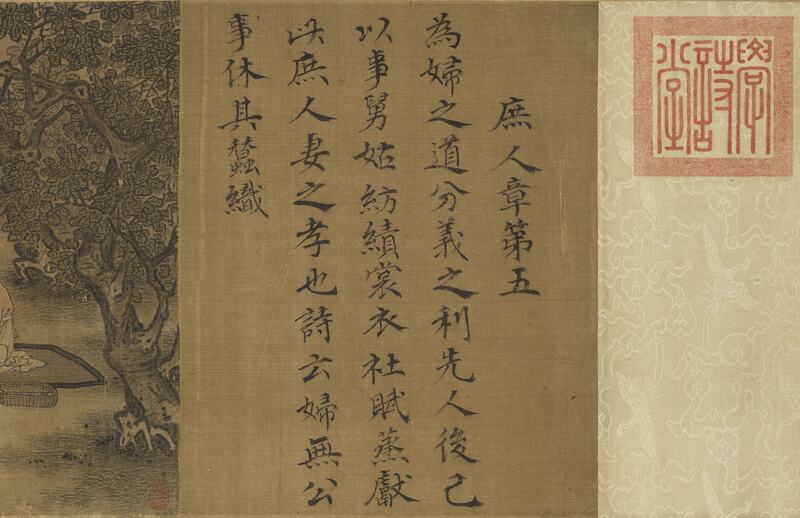 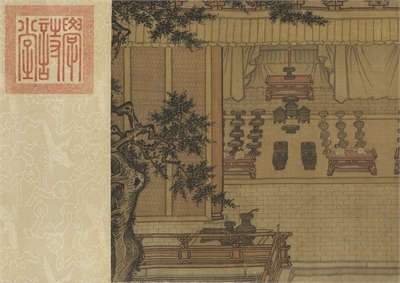 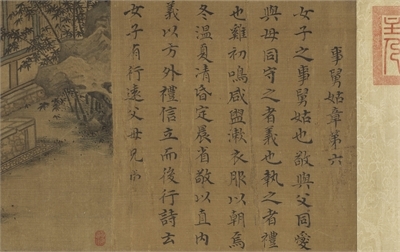 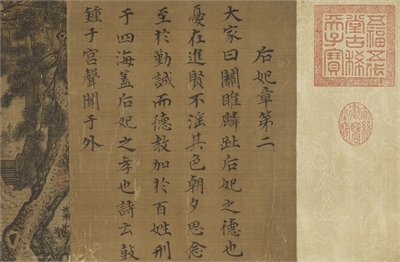 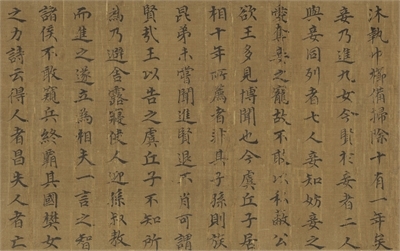 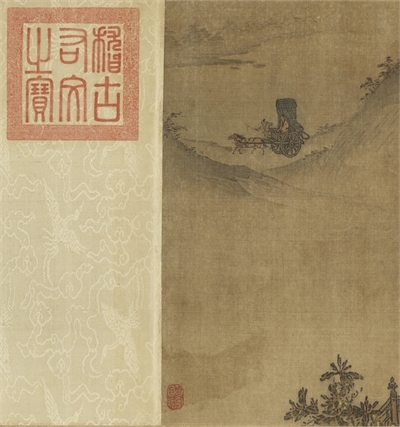 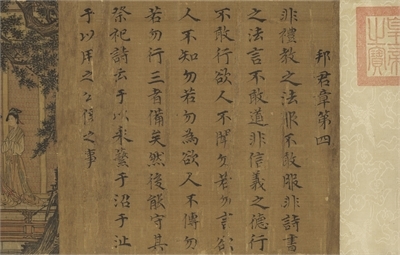 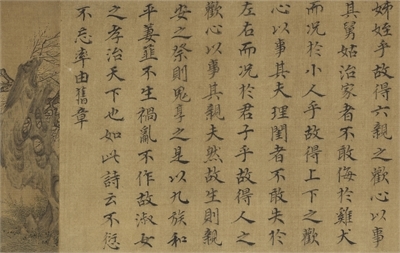 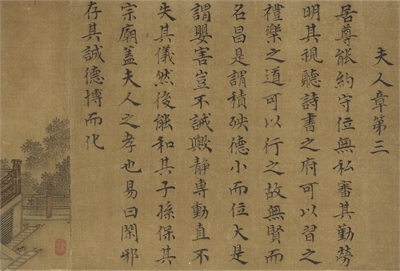 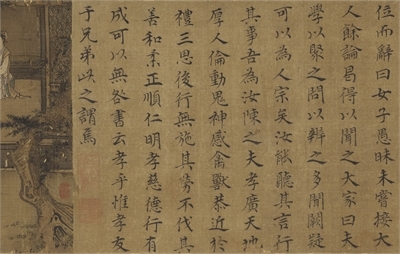 Mounted in an arrangement of alternating texts and images, the traditional label gives the Southern Song emperor Gaozong as the calligrapher and Ma Hezhi as the painter. 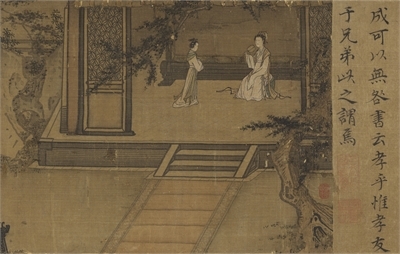 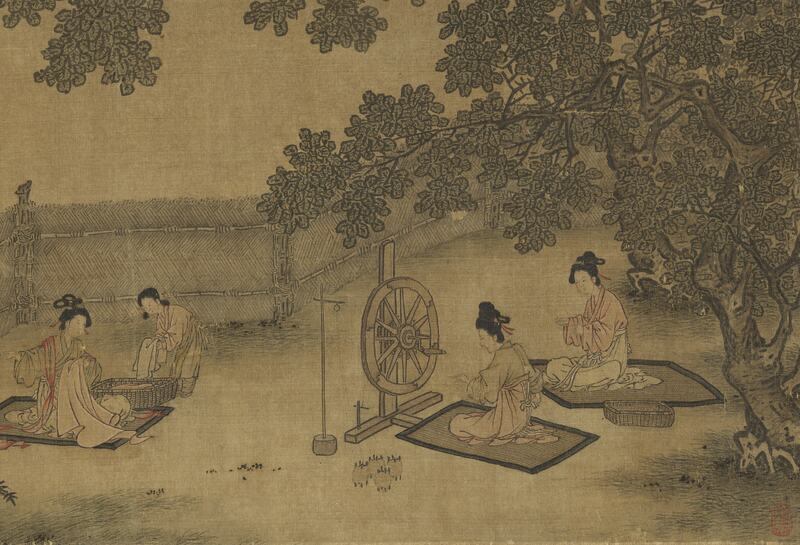 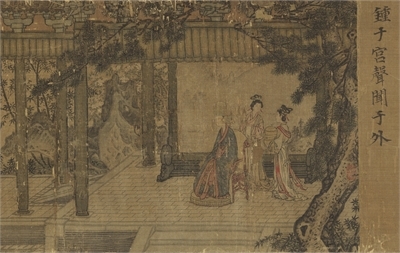 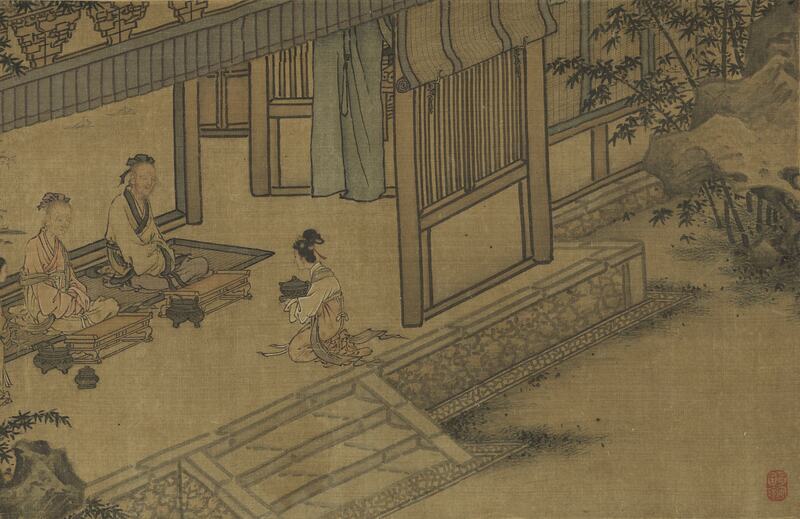 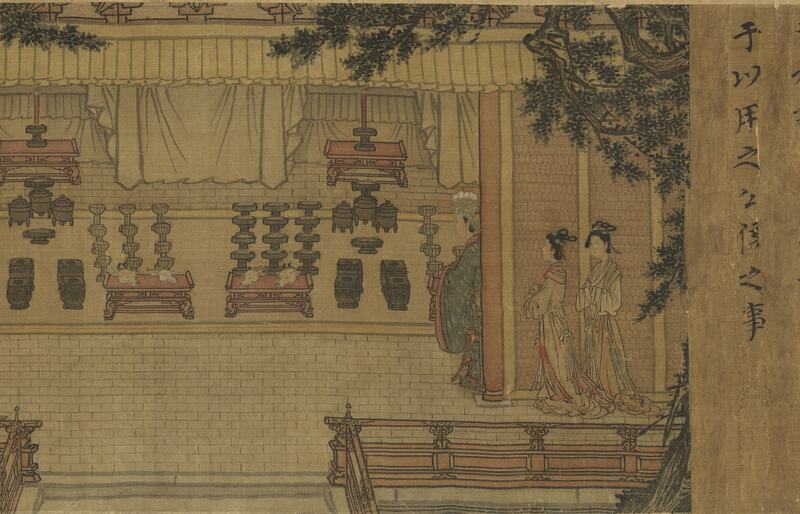 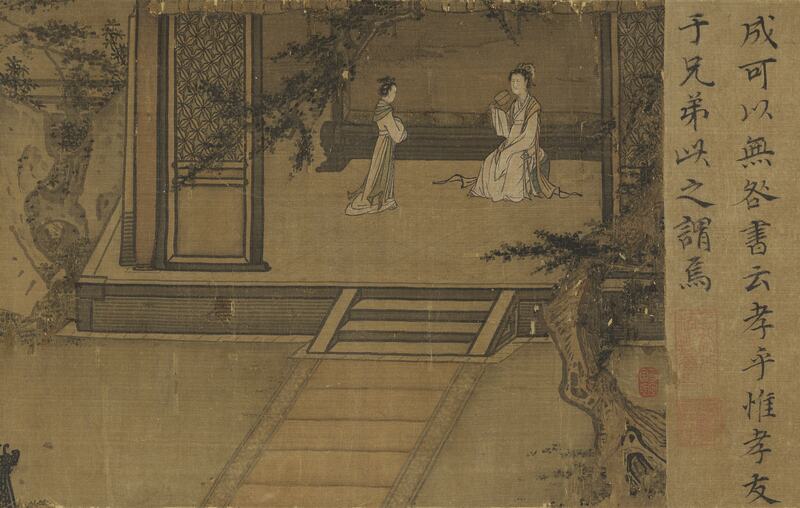 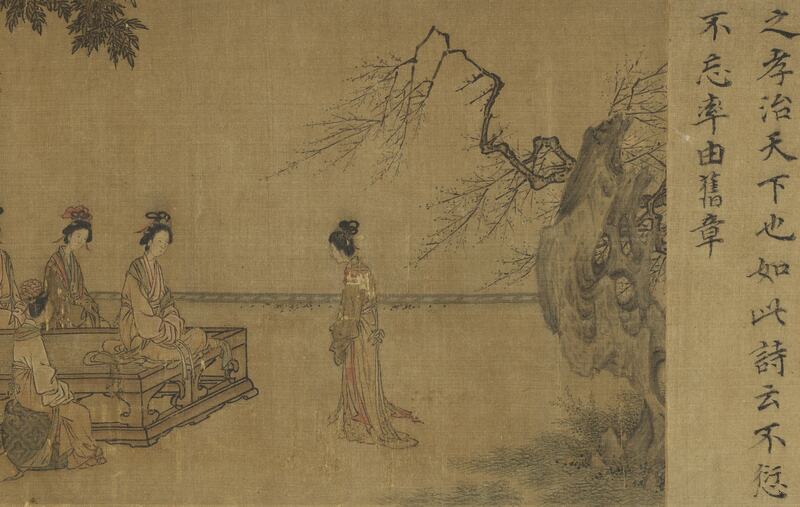 Ma, a native of Qiantang, was a Presented Scholar during Gaozong's Shaoxing reign (1131-1162) and a favored painter of him and his successor, Xiaozong. Ma's brush method is noted for its untrammeled manner in a style of his own. 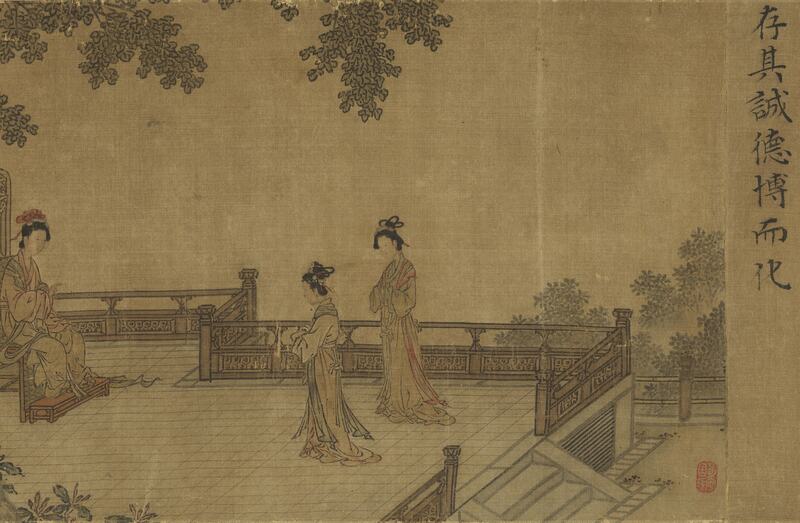 The outlines of the figures here are delicate and the facial features pure and beautifully refined. 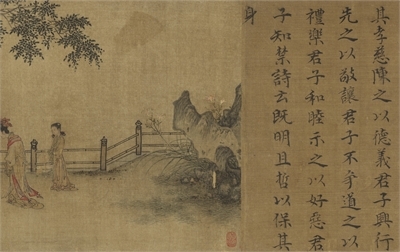 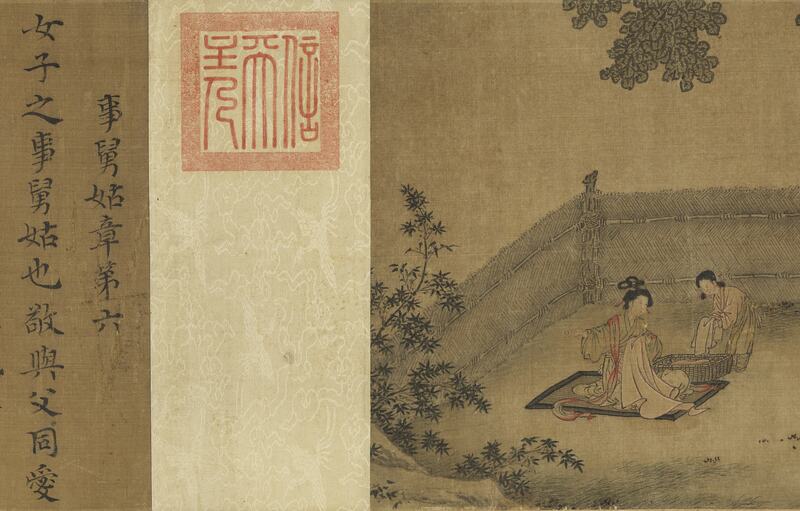 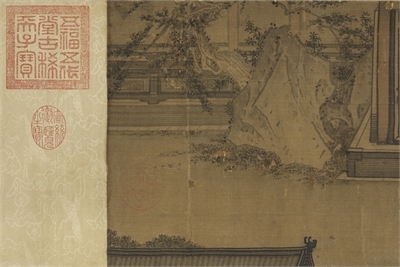 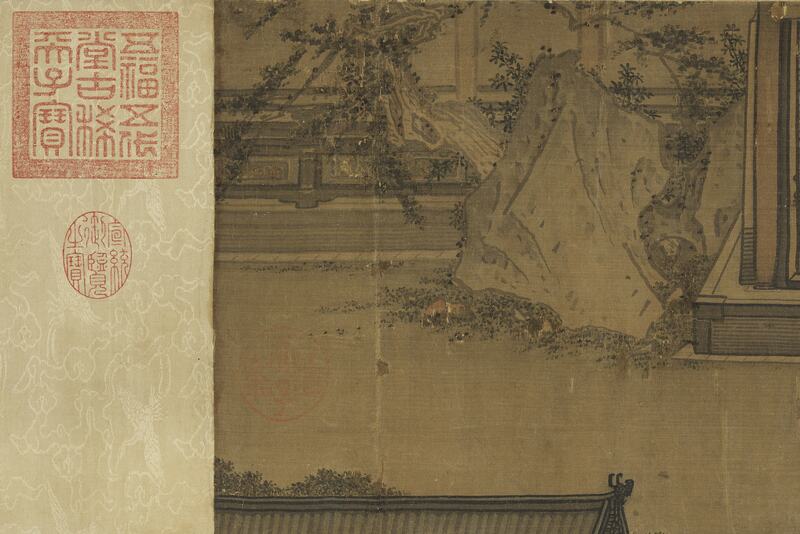 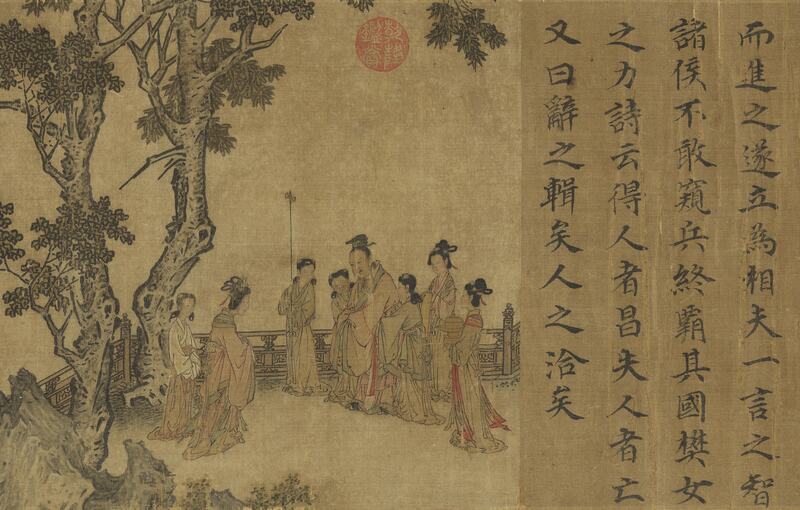 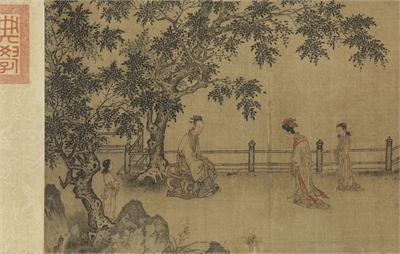 Though the brush and ink are exceptional, they do not correspond to those of Ma Hezhi but instead to the style of another thirteenth-century painter, Ma Lin. 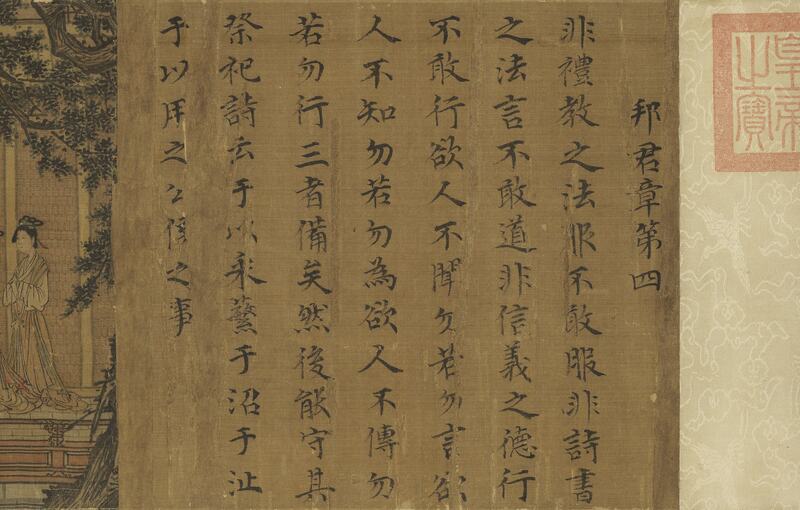 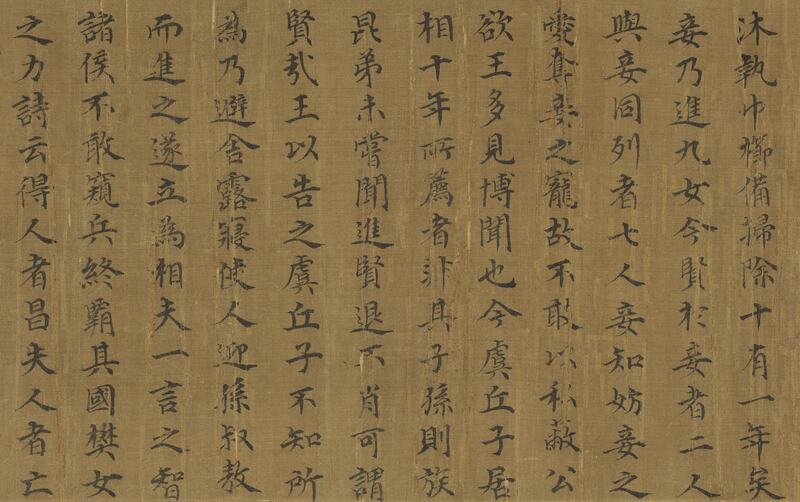 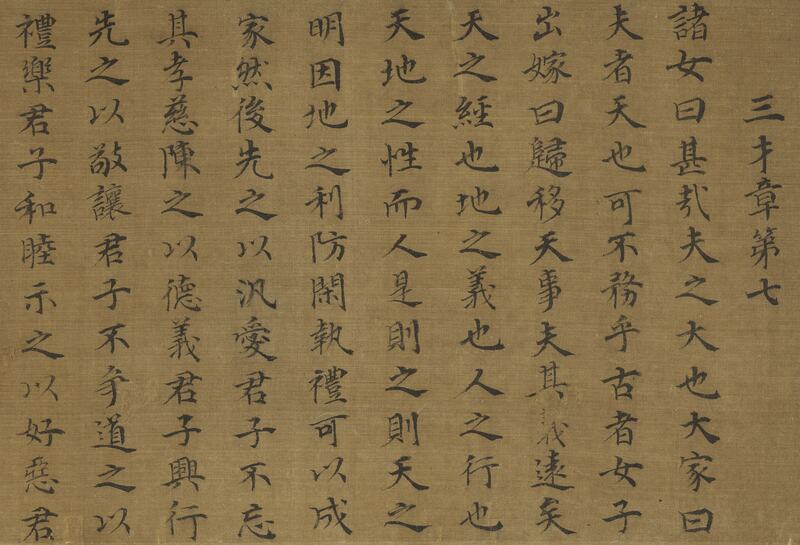 Furthermore, the inscription at the beginning attributed to Gaozong is closer to that of a later Southern Song ruler, Lizong (r. 1225-1264), suggesting this is a late Song court production of The Ladies' Book of Filial Piety.